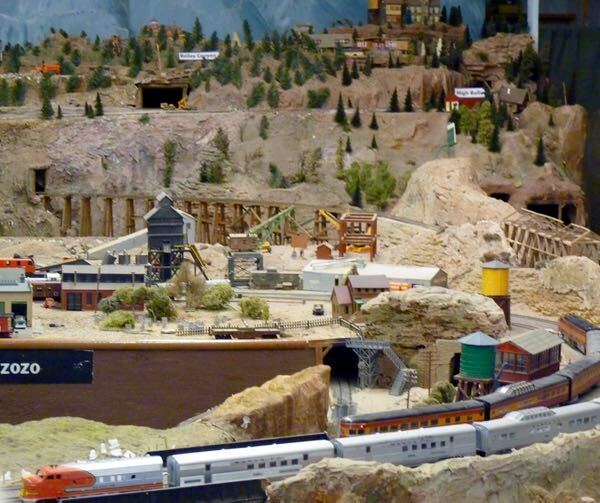 The Toy Train Depot was filled with model trains of all types and sizes. Lots of displays showed different makers, scales, and eras. A guide enthusiast took me around and explained everything; very knowledgeable. Walls and cases of model trains everywhere; big, small, tiny, below, behind, and above. 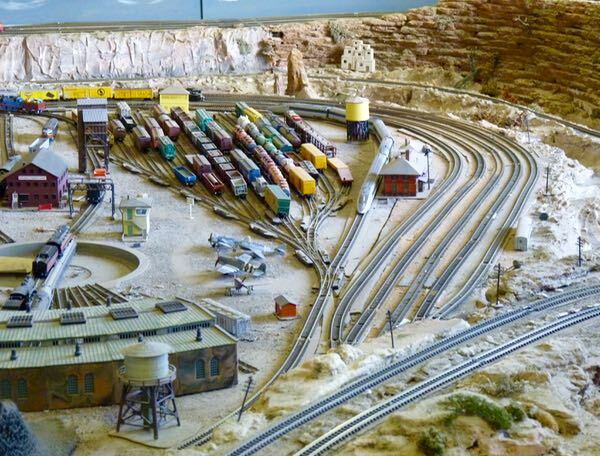 There were several set-ups representing real railways in the region with plenty of detail in the village layouts; and multiple trains all running on time. 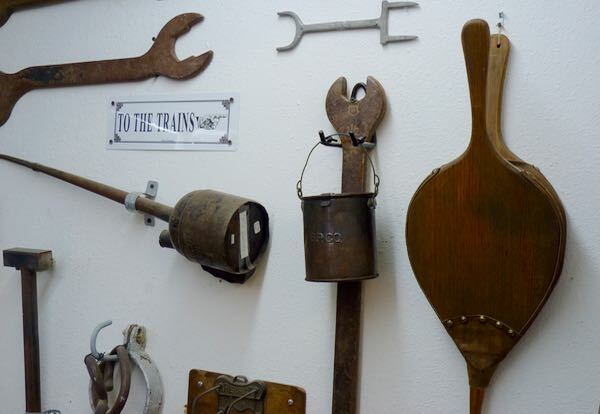 There were also some life size train gear, photographs, and history of railroading in the region. 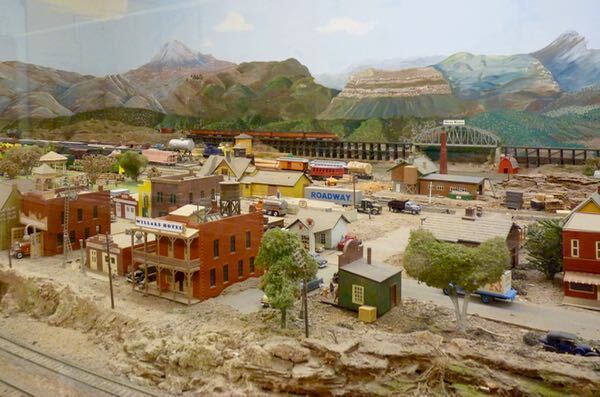 You could even buy a ticket to ride the miniature train that runs around the property. And of course, a gift shop. 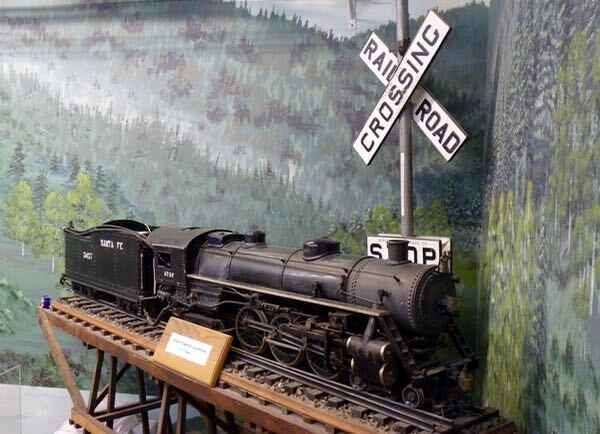 If you are a toy train lover, don’t miss this small museum packed with samples you can get up close to see. 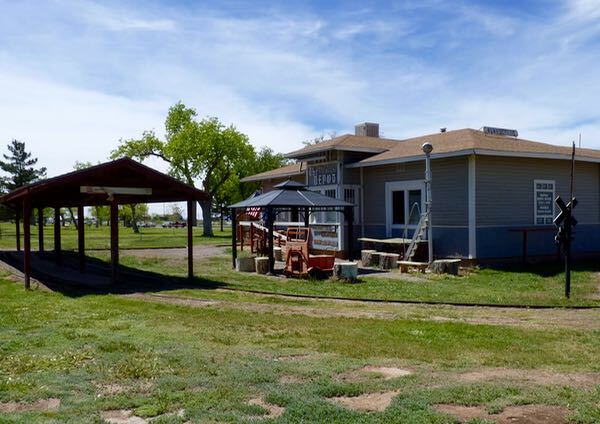 Housed in an historic train depot, it’s a real treasure! 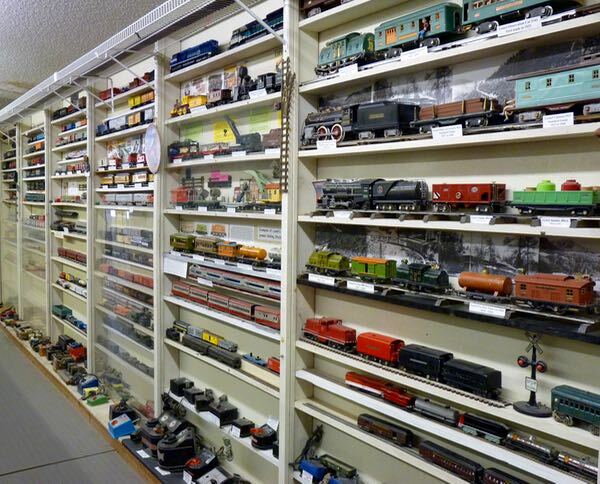 Very cool toy train museum. I love Oliver Lee SP – interesting layout, very cool setting, great views and some nice hiking trails. And of course – as a NM State Park — a great deal whether you have the annual pass or not!! Both the trains and the park were good. I too like Oliver Lee Memorial SP. And, I do have the NM Annual Canping Pass.